Thank you to our many friends and partners for your support in this fun, winter community event! Balsam Lake Pro-Lawn has been providing professional landscaping and lawn care for more than 25 years. Specializing in Green Industry Practices, Balsam Lake Pro-Lawn installs and maintains sustainable landscapes. Balsam Lake Pro-Lawn's retail center offers a quality selection of annuals, perennials, trees, shrubs, and retail landscape materials for DIY projects. For more information about Balsam Lake Pro-Lawn, click here. For 25 years, Northern Lites has been making the World’s Premier brand of snowshoes. At one-half the weight of other aluminum frame or plastic snowshoes, these shoes are incredibly light and easy to use. The current US National and World champions run on our snowshoes and it’s primarily because they are so light and durable. Northern Lites has generously donated a pair of snowshoes as a door prize for the event! For more information about Northern Lites, click here. Basically Balsam is a family owned and operated business in Balsam Lake, WI providing the highest quality clothing, merchandise, and customer service. As a specialty shop, much of the products are specially ordered and very unique. Basically Balsam provided the embroidery for the Balsam Lake Snowshoe Race winter hats. For more information about Basically Balsam, click here. Specializing in quality service and quality products for every DIY project and home-repair, Balsam Lake Hardware Store and Rental provides the local area with hardware and tools, house goods, lawn and garden supplies, paint, sporting goods, and more! Balsam Lake Hardware and Rental donates a door prize each year. For more information about Balsam Lake Hardware, click here. Sarah Dudgeon, of Dudgeon Pottery, is a professional potter with a studio located in Amery, WI. Sarah's pottery is given to the 1st, 2nd, and 3rd place winners in both the women's and men's division. 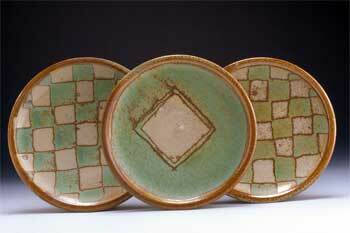 For more information about Sarah Dudgeon and her pottery, click here. The Balsam Lake Area Chamber of Commerce is here to support and promote this business community, as well as provide assistance to our residents, visitors, and potential new residents and businesses. In addition to maintaining the positive business climate of our area, our members participate in a wide variety of community events. For more information about Balsam Lake Chamber of Commerce, click here. More than a day trip! 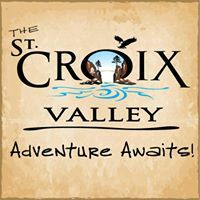 The vision for Visit The St. Croix Valley: WI & MN is to promote the scenic beauty, the outdoor adventures, along with all the fantastic things to see, do, dine & shop! Our mission is to create an overnight destination spot for tourists and a source of local information for the fantastic things to do in our neck of the woods. For more information, click here. Thirsty Otter is a bar and restaurant with a spectacular full menu, full bar, outside patio bar, indoor dining area as well as a large patio dining area. Thirsty Otter will feature $4 Bloody Mary's for event participants (just show your race bib at the restaurant), free hot chocolate for kids, and breakfast coupons as door prizes! For more information about Thirsty Otter, click here.